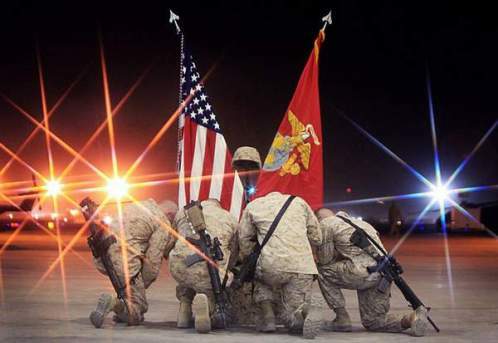 Two Marines died and six AV-8B Harrier planes were destroyed last fall after 15 insurgents attacked Camp Bastion. It marked one of the most brazen and high-profile security incidents on a major forward operating base in 11 years of war in Afghanistan. Immediately afterward, the majority of the news coverage focused on the heroism displayed that Sept. 14 night in squashing the attack. That certainly deserved attention. As I outlined from Camp Bastion last fall, hundreds of Marines and other coalition forces scrambled to root out well-trained enemy that, after breaching the wire, not only destroyed aircraft, but also opened fire on unarmed personnel and civilians riding in a bus. The results of the attack could have been much worse, as a variety of senior Marine officers have pointed out. There are a number of questions that still haven’t been answered by U.S. military officials, however. A Washington Post story published over the weekend addresses several, suggesting that it was easy for the Taliban to breach the wire because a number of watchtowers were unmanned and patrols around the base had been cut back the month before as part of the drawdown in U.S. forces across Afghanistan. — The British, as overseers of Camp Bastion, had responsibility for guarding the base. Instead of placing their own soldiers in the towers, they delegated the duty to soldiers from the Pacific island of Tonga. Before the attack, several Marine officers raised concerns about Tongans falling asleep while on post, the story adds. — The tower closest to where the insurgents breached the wire was unmanned on the night of the attack. Other towers were manned that night, but the Tongan soldiers couldn’t see the area observed from the vacant tower in question. — Maj. Gen. Charles “Mark” Gurganus, the top commander in Helmand province at the time, approved reducing the size of the Marine force that patrolled outside camps Leatherneck and Bastion from 325 personnel to 100 one month prior to the attack. Gurganus, the head of I Marine Expeditionary Force (Forward), told the Post that the decision was based on the threat assessment at the time, adding that the Taliban caught a “lucky break.” The decision was made as U.S. forces across the country were required to cut numbers. — Military officials told the Post the reduction in patrols around the base allowed insurgents to conduct reconnaissance on the airfield before the attack, identifying times during which guard towers were unoccupied and drawing maps of where planes were parked. The maps were shown by the Taliban in a video after the attack that bragged about the destruction they caused. — The Marine Corps does not plan to release its review of what happened. NATO also intends to keep the results confidential, in part because they don’t want to embarrass the British, military officials told the Post. During a breakfast in Washington with journalists last week, Gurganus and British Brig. Gen. Stuart Skeates, the deputy commander for I MEF (Fwd. ), were asked about the September attack on Bastion and a previous March 2012 incident in which an Afghan interpreter attempted to run them down while they waited for a plane with then-Defense Secretary Leon Panetta to arrive. Were there security failures, and could anything have been done in between the two incidents to improve safety? Skeates said the two incidents were completely unrelated, and it would be an error to assume every single security incident could have been prevented after the rundown attempt. Gurganus said he agreed with Skeates, and added that it is almost impossible to defend against every scenario. “You do your best to cover all the bases, but you concentrate primarily on what your primary threats are, and what is most likely even while you’re guarding against what is the most dangerous,” Gurganus said. I’ve reached out to I MEF (Fwd.) and Marine Corps Forces Central Command to comment on some of the questions raised. If more becomes available, we’ll share it then.